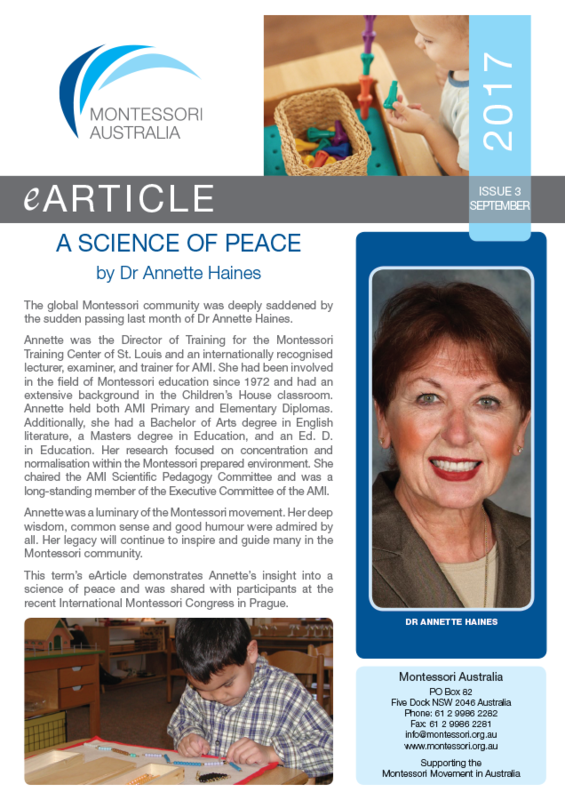 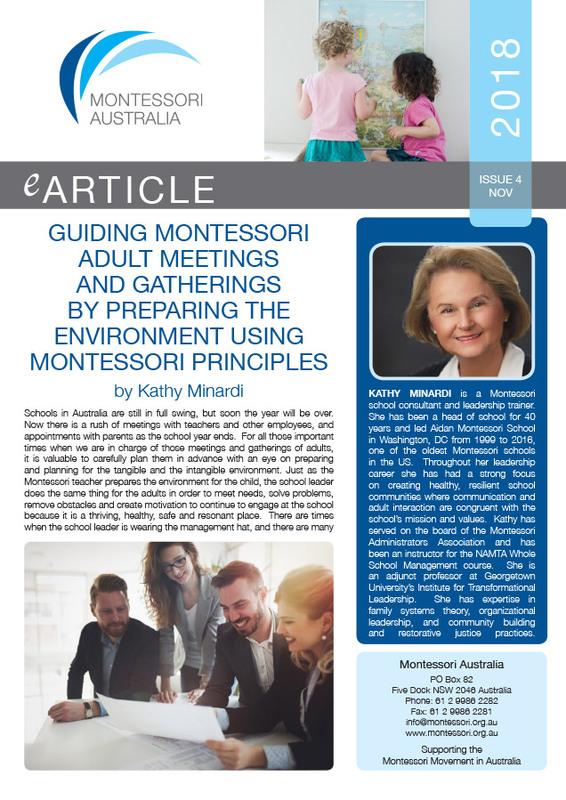 The Montessori Australia Foundation produces an eArticle four times a year. 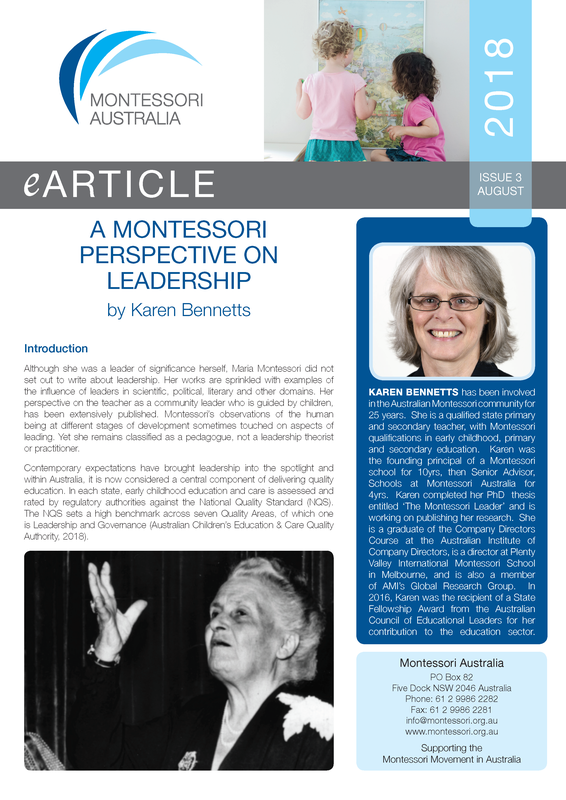 The eArticle comes as a PDF file featuring an article by a prominent Montessorian. 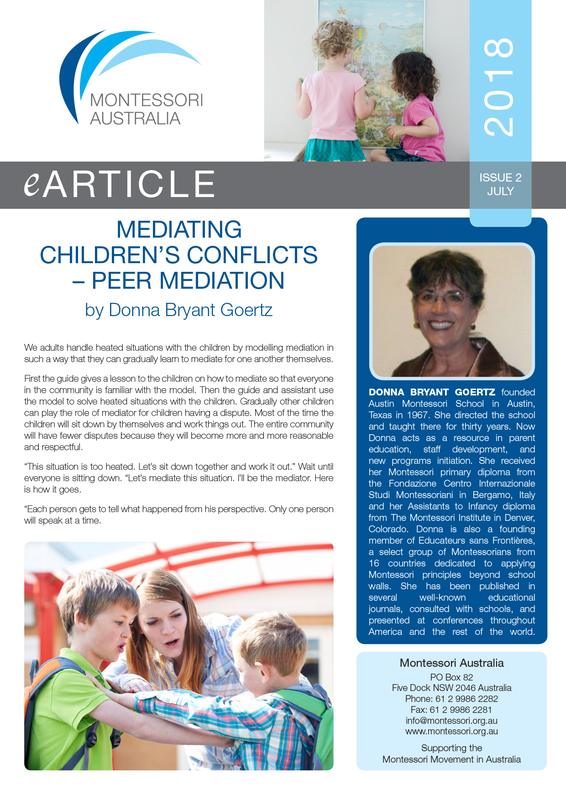 Click on the links to publications from AMI and its affiliates. 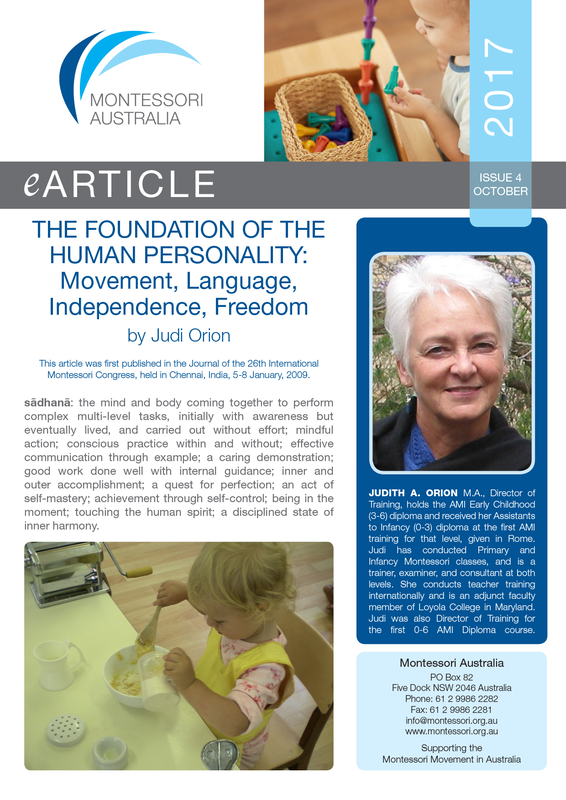 AMI Members are able to download PDF copies of the publications. 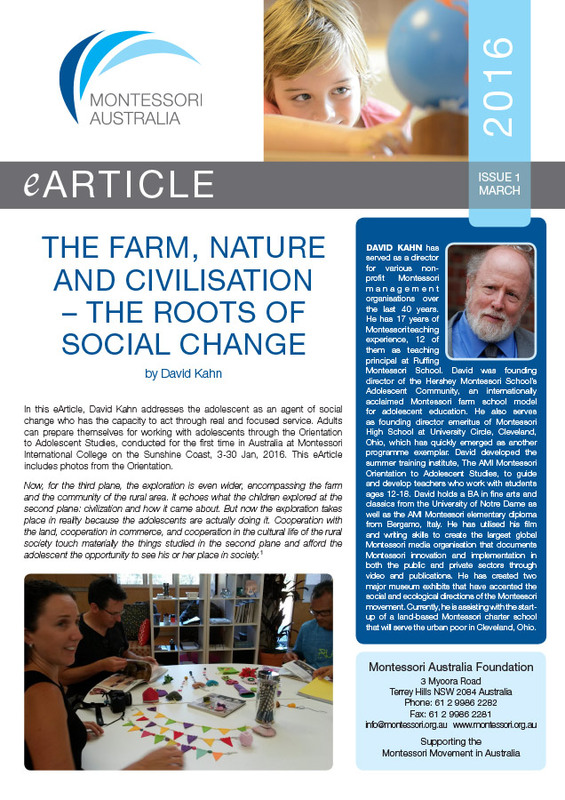 Click here to become an AMI Member for an annual subscription of US$45. 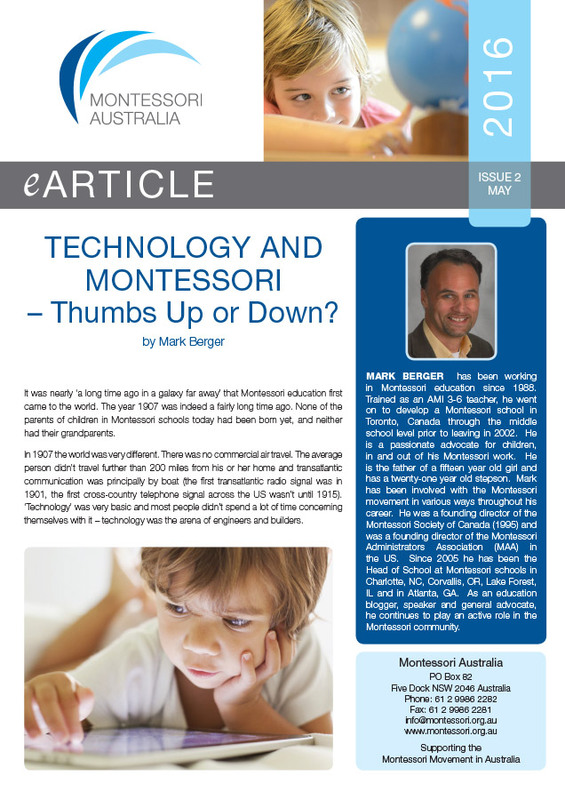 Technology and Montessori - Thumbs Up or Down? 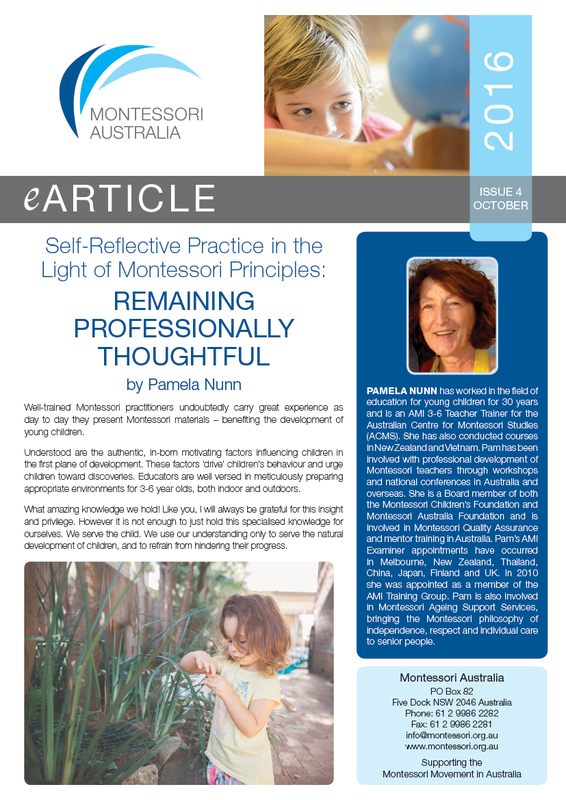 Click on the links to view other publications from AMI and its affiliates.